Grab a group of friends and have the "COOLEST" party ever!! A Cryo Party includes: ~ A private 1.5-2 hour party with you and your friends ~ Everyone will experience a CRYO session or customize your party with a number of our other services at an additional cost ~ Enjoy appetizers from a local restaurant ~ Listen to your favorite music ~ Have a totally awesome time!! 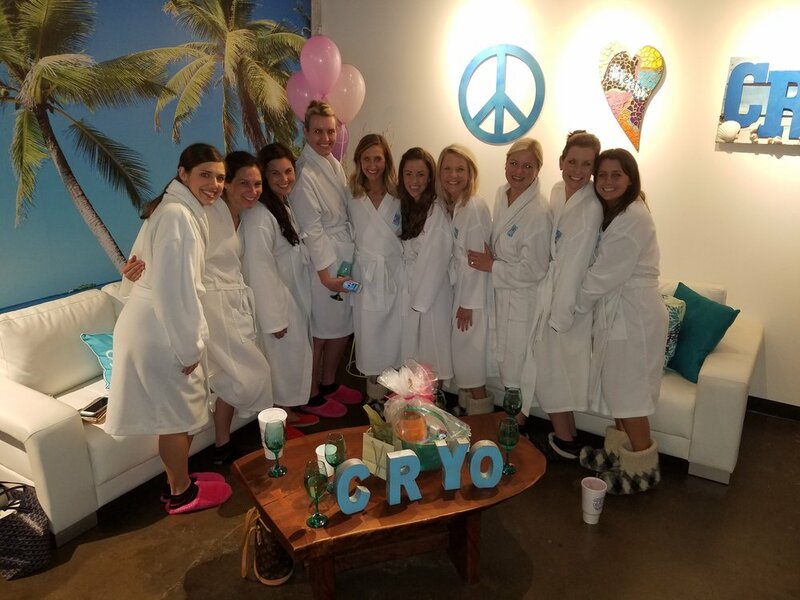 Contact us for more details and get your CRYO Party booked TODAY! !